Ewing and Clark brought this Seward Park house on the market last week and within two days it was pending. This is not unusual. Real estate in Seattle is selling, especially if it is priced reasonably from the beginning. Seattle's Mount Baker neighborhood is a great example of this. According to the Northwest Multiple Listing Service (NWMLS), in the last 6 months 31 homes have sold in the Mt Baker neighborhood. Of those almost 1/3 of the homes (9) went pending in less than 10 days. 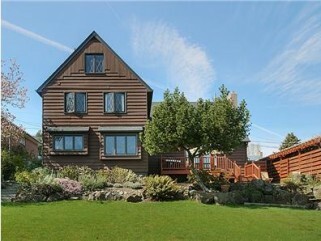 Of the 9 Mount Baker homes that sold in less than 10 days, 6 of them sold for the original list price or higher. Of the 22 Mt Baker homes that sold in more than 10 days, only 2 sold for the original list price or higher. Both of those homes sold relatively quickly as well - going pending within 30 days. While these statistics are a good example of what is going on in the Seattle real estate market, it should be pointed out that there are other well priced homes available for purchase - even if they are on the market for more than 10 days. For example, this (click link) Mount Baker home is priced nearly $40,000 less than what the house a few doors down just sold for two months ago. Both homes are nicely finished with the same amount of bedrooms. In fact, the house still currently for sale has more bathrooms than the house that sold. So if you a buyer looking for a home to purchase, you should get your ducks in a row to be ready for the next great house that is listed, get to know the market so you know a great house when you see it, and do not forget the homes that are already on the market - there are fantastic homes already available. Statistics not compiled or published by the Northwest Multiple Listing Service.